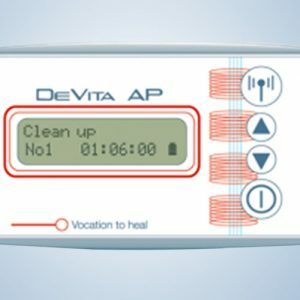 The Unique Devita BRT device is easy to use and is designed for a wide range of users. It is basically a hand-held, portable bioresonance therapy (BRT) device that is very user friendly. The patient’s body signals are conducted from the right hand into the input of the device using a hand electrode. In the Devita BRT device, the disharmonious frequencies are filtered out and inverted. These inverted therapeutic oscillations are now given back to the patient via the left hand using another electrode. These returning oscillations help to balance the patient electromagnetically, and are again fed into the Devita BRT device for further analysis. The process is repeated constantly in fractions of a second. The pathological signals in the body are consequently reduced and finally extinguished, and the physiological endogenous regulatory forces can regulate the biological process unhindered. A TRUE INNOVATION – ONE OF THE VERY FIRST “MINI” PORTABLE BIORESONANCE DEVICES IN THE WORLD! TRULY UNIQUE! For many years now, natural health practitioners have used Bioresonance devices in their offices and clinics to successfully treat a myriad of different health conditions. This entailed the patient going to the practitioner’s office once or twice a week or more and being plugged into large devices such as those in the image on the right. 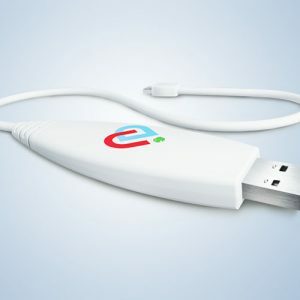 Now, you can purchase and use your own portable, unique Bioresonance device and use it on yourself and your loved ones, in the comfort of your own home. The NEW amazing DEVITA BRT device is easy to use and is designed for a wide range of users. It is basically a hand-held, portable bioresonance therapy (BRT) device that is very user friendly. It contains two brass hand electrodes and two brass foot electrodes. Central to its application is the idea that all life is made of energy. Although humans tend to think of themselves as relatively solid creatures, we are actually just a mass of compressed energy. We emit our own electromagnetic fields and, as with all things, we each have our own unique “vibration”, or oscillation. This oscillation can easily be measured with electronic equipment. When we are healthy, our bodies produce a smooth, regular oscillation. When the body is under stress, the pattern becomes jagged and irregular. The patient’s body signals are conducted from the right hand into the input of the device using a hand electrode. 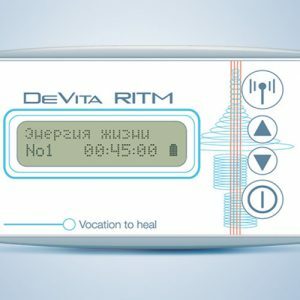 In the Devita BRT device, the disharmonious frequencies are filtered out and inverted. These inverted therapeutic oscillations are now given back to the patient via the left hand using another electrode. The treatment of pathological oscillations is to return them back to the body in a modified form – in this case, as a mirror image as is illustrated in the image on the right.This action is based on the principle, as well known in physics, that oscillations are influenced by their exact mirror image. Returning the oscillation to the patient in this modified form can diminish, or even eliminate, the pathological oscillations of the allergen or toxin, allowing the body’s own healthy oscillations to become dominant.If the practitioner decides that medicine would also be useful in treatment, the oscillation of that specific medicine could also be returned to the patient. 3. The physiological and pathological oscillations together are referred to as the patient’s own oscillations. 4. 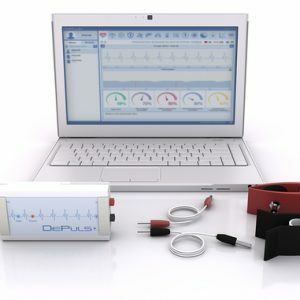 The patient’s own oscillations can be picked up from the surface of the body (antenna effect) and conducted through a lead into a therapy device. 5. Therapy oscillations are made from the patient’s own oscillations with the aid of modern electronics, without adding other or technically generated frequencies. 6. 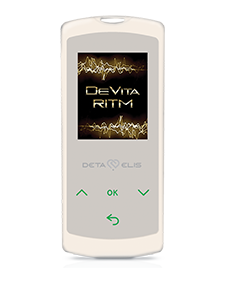 The patient’s own oscillations transformed into therapy oscillations are fed back from the Devita BRT device to the patient’s body. The therapeutic effect does not take place in the therapy device but in the body of the patient himself. 7. The therapy oscillations cause a therapeutic effect in the patient’s body firstly by suppressing or reducing the pathological oscillations and secondly by exciting or strengthening the physiological oscillations.